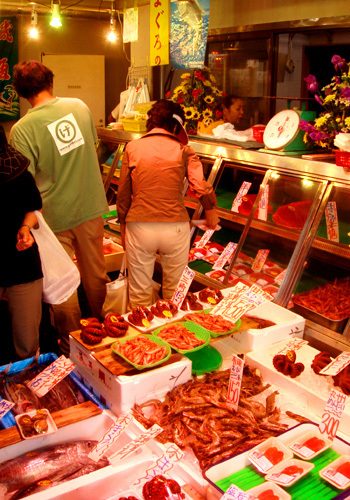 Misaki fishing port is not only the base of the tuna fishery, there is also a popular tourist destination. In every weekend a lot of people come for buying tuna. The Japanese buy the various parts of blocks of tuna. If you are foreigners,we recommend local restaurant. You can eat several rare tuna dish. Misakiguchi station from Shinagawa Station takes 1 hour 15 minutes by train. Misaki fishing port from the Misakiguchi Station can be reached by bus.